Nana was a tiny auburn-haired dynamo. Well, truthfully, by the time I arrived on the scene, she was a Ms. Clairol brunette out of a box, but it didn’t change her spitfire nature. 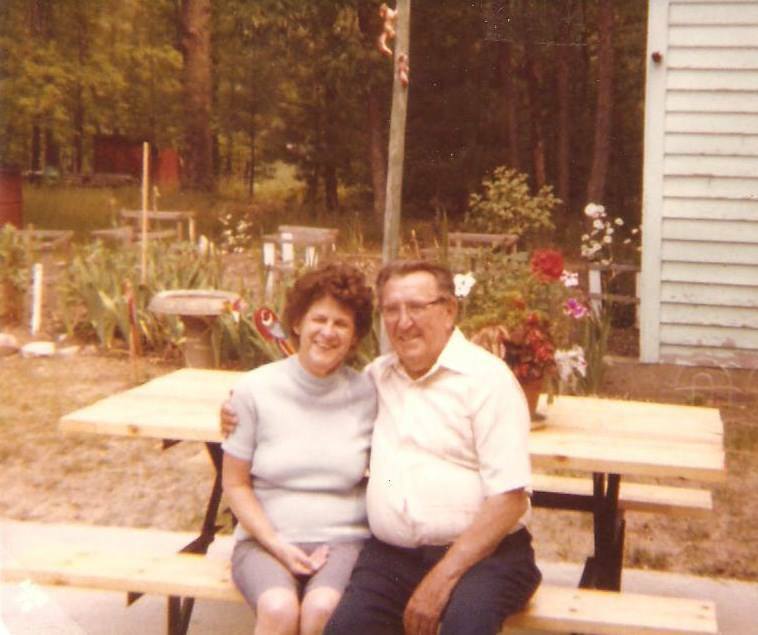 Nana was one of 14 children and, family legend has it, her father’s favorite. He was a no-nonsense farmer and mine owner. 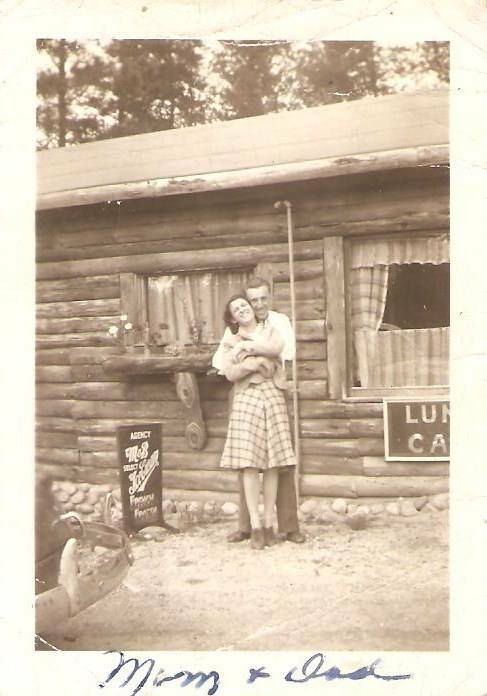 She eloped with my grandfather at a young age. They met while working at a pickle factory. After marrying, they were so scared of telling her father what they’d done that they each went back to their respective homes and lived there for a while, keeping mum. She stayed with that “homely man” through thick and thin, well into her eighties. And she mourned him fiercely when he was gone, seeming to forgive him all that drove her nuts. They bickered about everything from his time in the shed (“Ssh, Kristi. Don’t tell your nana I’m drinking beer out here”), to his loud snoring and who was the better pinochle player. But true love doesn’t have to be pretty, right? Just steadfast. My grandmother attended school through the eighth grade. And yet, she was one of the wisest women I’ve had the pleasure of knowing. It was not her folksy wisdom that made me love her, though. It was her complete surrender to life and all it brings. Her passion spilled into many areas. I probably learned more from watching her live than I did from any lecture my parents offered up over the years. And watching her was certainly more fun. She rode roller coasters with my sisters well into her sixties. Snowmobiled her way through the Michigan woods well into her seventies. She loved nothing more than a rummage sale and a bargain to show off when she got home. She baked a mean apple and lemon meringue pie. Was known to take a deck of cards outside and stomp them into the mud when she was bested in a game. We tended to get scolded together, Nana and I. In church, when the priest’s nasal voice sent us into fits of giggles. At 1 a.m., in her cottage, when we slept on the pull-out couch together so my parents could have her bed. We would get to talking, which usually led to us howling with laughter. My mother would give us a disapproving look in church or call out from the bedroom that we needed to quiet down. It rarely worked. My grandmother died when I was in my early twenties. She came to me in dreams for months following her death. These dreams didn’t have the quality of a normal dream. In each, she would just sit and talk to me, imparting advice. In the final, about six months after her death, she told me she couldn’t come to see me like this anymore. That she had to “move on to the next level.” At the time, I had no idea what that meant. But I knew she’d always be with me. In the years that followed, there were times I was tempted to think I was pretty hot stuff. As a young consultant, making a decent living. On business trips, traveling to far-flung cities. But when tempted to feel boastful, I reminded myself what I come from. A woman with an eighth-grade education who worked in a pickle factory. Who lost her house during the Great Depression. Who sobbed when her daughter, my mother, left her varsity cheerleader sweater on the bus. Because she didn’t have enough money to replace it. This tiny woman who came from nothing valued education and made sure her kids shared that value. Which ensured my mother valued it and passed that on to her children. And so on. My kids go to a school my grandmother couldn’t even have dreamed of. And whenever they start to take it all for granted, I try to tell them a story about where they come from. They listen with half an ear at times but I hope the story sticks. We don’t get to choose what we come from. And sometimes, what we come from is less than the stuff of fairy tales. In this instance, I think I got awfully lucky. Not every gal gets a partner in crime. But I was trained by one of the best. Love this! I miss my maternal grandmother to this day — she died when I was 18 and that was decades ago. She was feisty as hell and had $$$$$ and boy, did she know how to spend it! So there were only debts and unpaid taxes when she died…but I learned from her a love of elegance and style and a self-confidence every teen girl needs and the ability to defend my ideas after she’d blast some of them to bits. I miss her still…Grandes dames ‘r us! I also loved my maternal grandmother fiercely and truly. Thank you for describing yours – I feel inspired to write about my grandma someday too. Your grandmother sounds positively wonderful. You clearly come from a line of strong women. Beautifully written I so wish I would have had a women like this in my life You are very blessed for having been someone she loved . Reblogged this on How to be a Grandma. This is so beautiful. What a loving tribute and I kind of feel like I missed out having never met your grandmother. I adore your Nana! What a wonderful tribute to a relationship of true kinship. I liked the end, sometimes we do forget where we came from and take things for granted. I wish you would have had a partner in crime also. Maybe you can be one for your grandchildren and forego the scolding:). Your grandmother taught you well, Kay, and you were smart enough to make the most of her lessons. Coming to you those six months after her passing, she was making sure it all stuck for good! Now it’s your boys’ turn to make sense of the sense, so to speak. Thanks for sharing Nana’s wonderful life with us. That ‘s a beautiful piece of writing and a wonderful tribute Kaye. I love how she visited with and spoke to you after her death. What a wonderful woman! I felt that way about my Granny. I could relate to her like no other. Everybody needs someone like this in their life.